Obituary for John P. Vatavuk | Meek & Dalla Valle Funeral Home, Inc.
VATAVUK - John P., 69, of Windber, died January 27, 2019 at Windber Hospice. Born March 24, 1949 in Johnstown, PA, Preceded in death by his parents, Paul and Beatrice (Shaffer) Vatavuk. John is survived by his wife of 48 years, Janet L. (Berkey) Vatavuk; son, Michael J. Vatavuk and his wife Kimberly (Jones) Vatavuk; daughter, Shelly L. Snyder and her husband Allen Snyder; grandchildren, Lisa Vatavuk, Joey Vatavuk, Seth Saloney, Sierra Saloney, and Autumn Snyder; brother, Dave Vatavuk and his wife Brenda (Kestermont); brother, Dan Vatavuk and his wife Janet (Brant); brother Tom Vatavuk and his wife Lucy (Foust); and many nieces and nephews. Mr. Vatavuk was a member of the very first graduating class of the University of Pittsburgh at Johnstown in 1971. 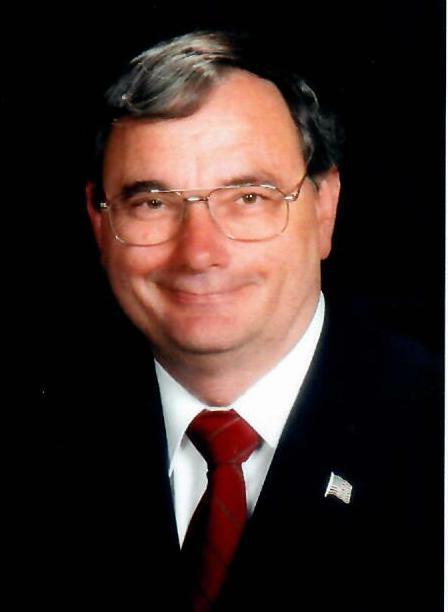 He has served as a Somerset County Commissioner from 2008 up until his passing. Retired from the North Star School District, where he taught for 36 years and touched the lives of hundreds of students. John was a champion for the completion of Route 219 from Somerset to Meyersdale. That section of highway was opened in October of 2018, fulfilling a great part of his longtime dream of seeing it constructed the whole way to the Maryland border. He served on the Board of Trustees of the Penn Highlands Community College, the North South Highway Coalition, the Continental One Board, Windber School Board, and numerous other boards and committees throughout the County of Somerset. His biggest passion was playing basketball with his friends every Wednesday evening at the Windber Community Building. He also loved sports of all kinds, mainly Pitt football and basketball. He was also an avid recycler. John coordinated the Somerset County arm of the Commissioning Committee for the USS Somerset and is an Honorary Plank Owner. He was an active member of St. Thomas Lutheran Church, where he served as its Grove Committee Treasurer, Sunday School Superintendent, Sunday School Teacher, Church Council Member, and Manager of the Softball Team. On April 13, 2019, he will be inducted in the Windber Area Hall of Fame, which he considered to be a great honor. The family will receive friends on Thursday from 6 to 8 p.m. and Friday from 2 to 4 and 6 to 8 p.m. at the St. Thomas Lutheran Church, 1439 Ridge Road, Hooversville, PA. A funeral service will be held on Saturday at 11 a.m. at the Friedens Lutheran Church, 131 S. Main Street, Friedens, PA.
Officiating will be the Rev. Nila Cogan, assisted by the Rev. Gerald L. Myers, and the Rev. Herbert A. Lohr. Private interment at St. Thomas Church Cemetery, Hooversville. In lieu of flowers, please make donations to the John P. Vatavuk Memorial Fund (PO Box 312, Windber, PA 15963) and/or write to Senator Casey, Senator Toomey, and Congressman Joyce, asking that Rt. 219 be completed to Interstate 68 in Maryland. It would make John smile! Arrangements by Meek & Dalla Valle Funeral Home, Inc. Windber.